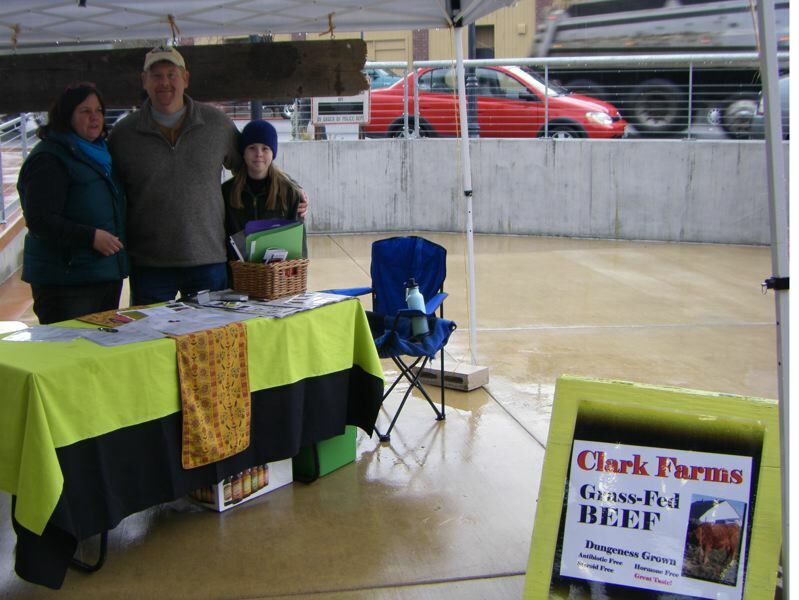 Clark Family Farm sells local, grass-fed beef. 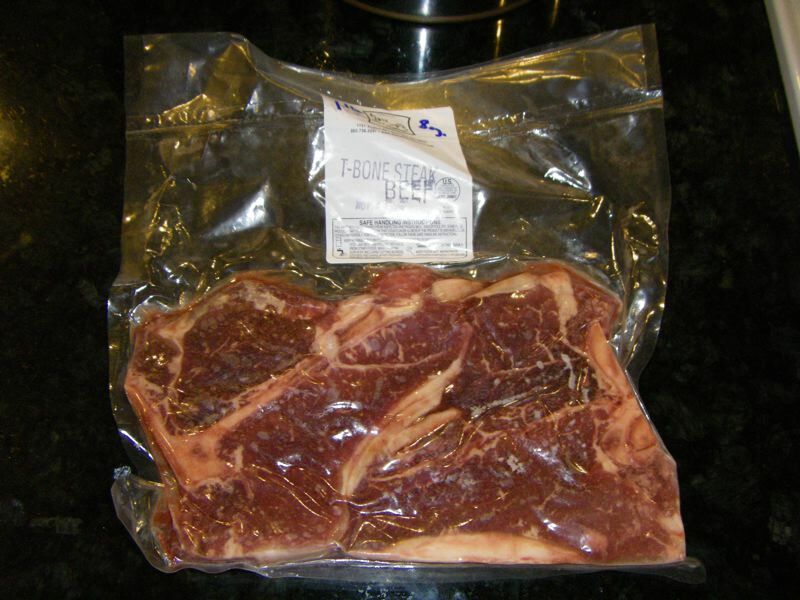 It is lean meat, but rich in flavor. Their t-bone steaks are wonderfully tender. We marinate them in lemon juice with salt, pepper, garlic and a bit of oregano, then we broil them. They sell just about everything in the cow, including the kidneys and tongue, so we are going to work our way through their repetoire. 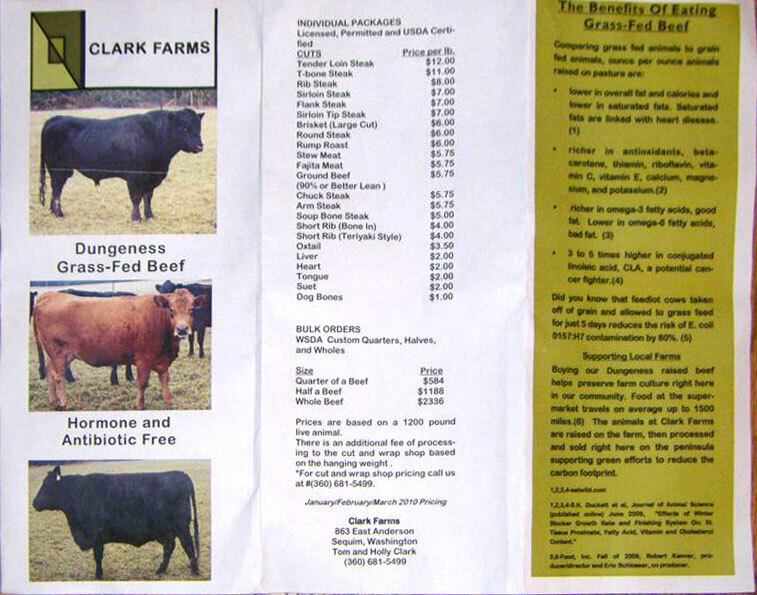 They sell at the Port Angeles Farmers' Market, and at a number of small stores locally. This includes Good To Go and the Speedi-Mart on Old Olympic near the state police station on route 101. We're glad to see they have taken the initiative. 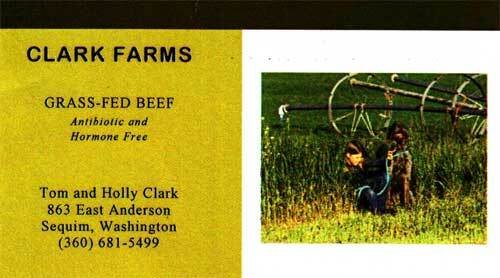 We know there is a market for beef from the North Olympic Peninsula. The folks at The Swinery in Seattle sell it, but it was hard to find locally. 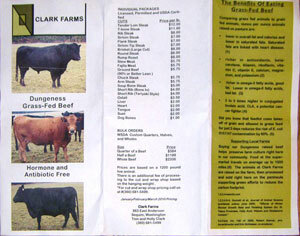 Now, thanks to the Clarks, it is available locally. Their market stand is truly a family affair with both the grown up Clarks and their children taking orders, fishing out cuts of beef and making change. 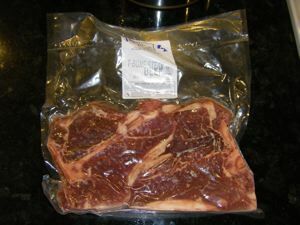 Everything is neatly vacuum sealed and frozen, and everything we've tasted has been delicious. This is a wonderful, slow cooked beef stew with rich Moroccan flavors. 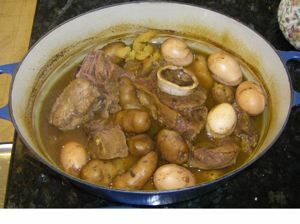 It bakes for six hours, so it isn't a spur of the moment dish, but it is actually simple to make.